Another blistering week in most of the country and definitely in Palm Beach. Maybe a peek at these cool blues will help.....Custom-designed French tole wastebasket with Palm Beach sandal motif, D. Porthault Jete de Fleur sheets peeking out next to a blue top sheet with one of our most sought-after monograms with seeded middle initial. 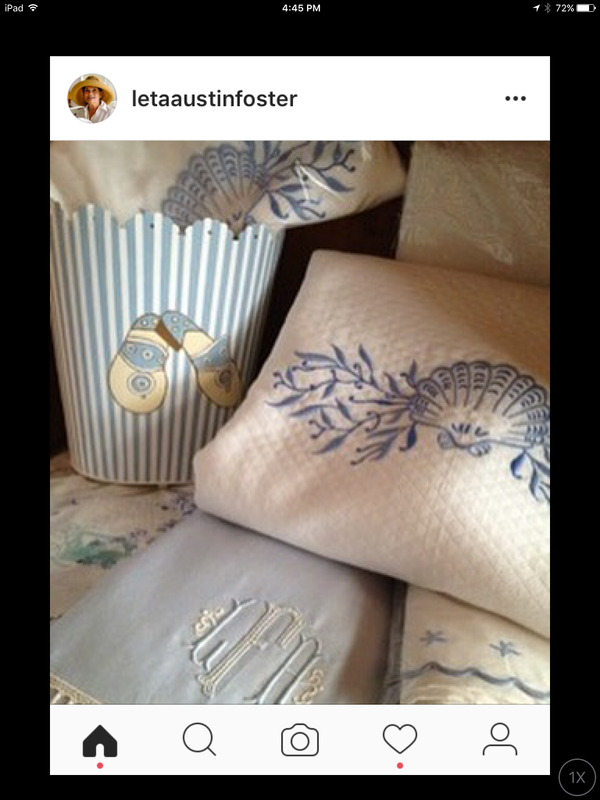 Also shown, Nouez moi Coquillage linens and blanket cover from France and Starfish embroidered sheets, designed right here at LAF and embroidered for us by Baroni of Florence. Always a best seller (in spite of smart phones) are our leather jotters. 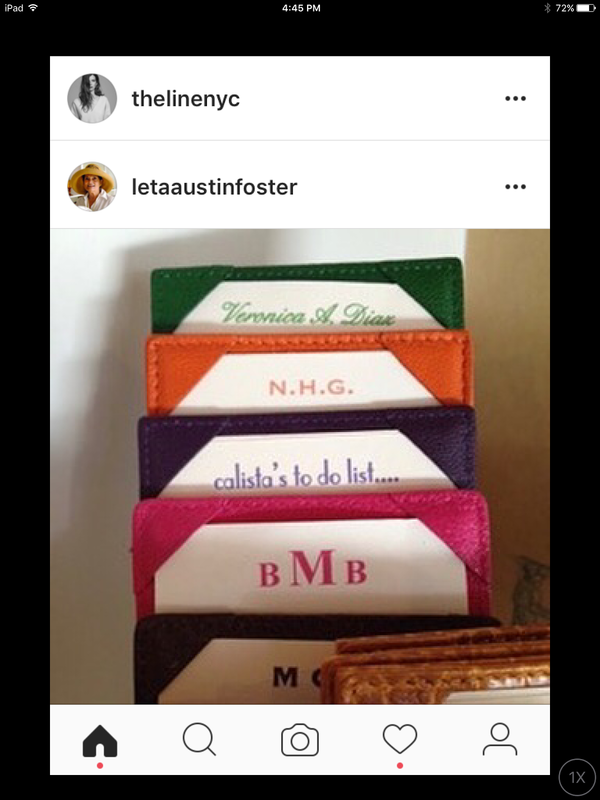 Have your jotter notes personalized with your name, monogram, address (or whatever) in a color to match. Jotters are $38. What a beautiful monogram! This crest displays the first initials of both husband and wife as well as the initial of their last name. At the top is the date their house was built. 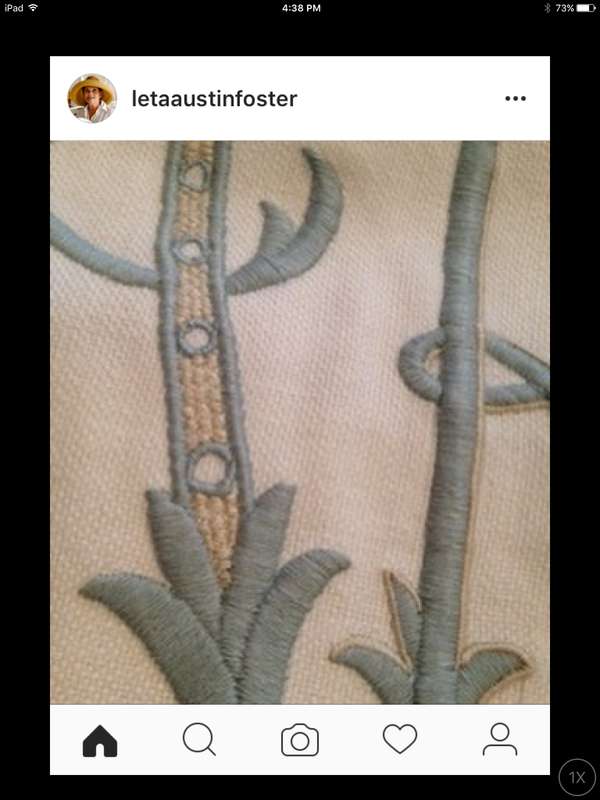 This was embroidered on a large decorative pillow that proudly sits upon their sofa. Perfect pair of linen guest towels from France that would be just right in a south Florida powder room. Also comes in blue and can be customized in any thread colors you would like. I just had to show you a close-up photo of a gorgeous monogram we had embroidered on a client's linen duvet cover. 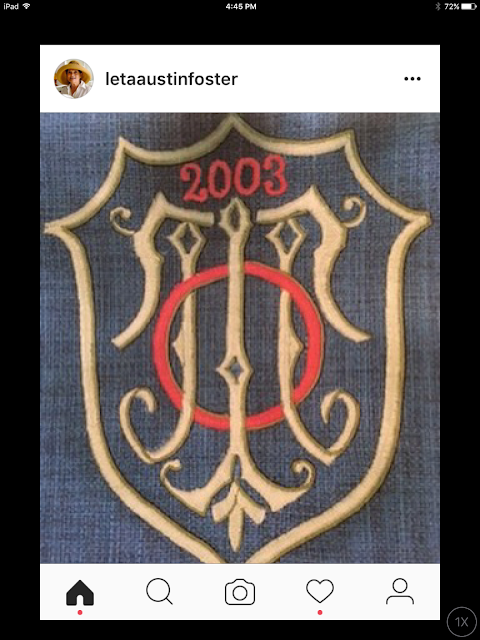 The monogram was quite large (about 12") and with all the special stitch work used, it really looked like hand embroidery. 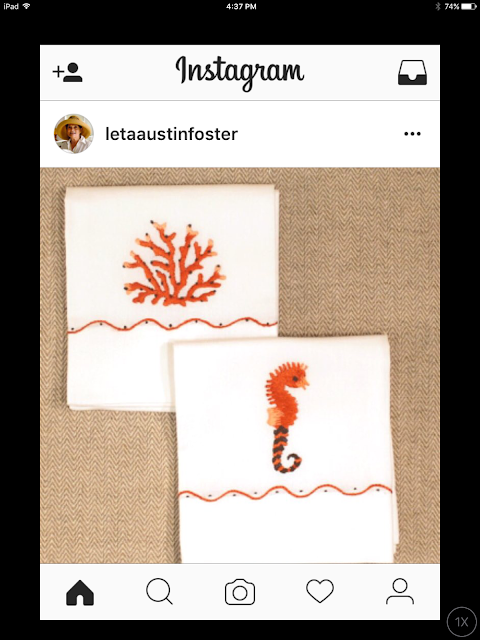 For more postings, check out our Instagram account under "LETA AUSTIN FOSTER". Please email Betty with any questions about the merchandise shown.